You may decide to stay in a nearby hotel for the remainder of your back surgery recovery, rent a long-term property or just spend a few nights in nearby Charleston. No matter which you choose, you also face another important decision — where to find a good, healthy breakfast in Charleston. Prepare for your post-surgical recovery by including a relaxing place to sleep that provides a positive, nurturing environment. You also need to consider your diet. While you should follow your doctor’s recommendations, you may want to include certain foods to help you deal with the potential consequences of constipation that accompanies your temporary lack of activity, the effects of anesthesia and the pain medication you’ll most likely be taking. Dark chocolate can help with your mood because of the endorphins it unleashes, so plan to add a little treat to your post-surgical breakfast in Charleston. And where you find your meal may be just as important to your constitution, taste buds, mood and well-being. Saffron Café and Bakery, located on East Bay Street, bakes and sells most every kind of bread you can imagine. Eat it there with one of their many healthy Mediterranean dishes and take some with you. Homemade breads include 10-grain, semolina, Jewish rye and sun-dried tomato. Gaulart & Maliclet’s Fast & French on Broad Street may be the perfect place to grab some of that endorphin-releasing chocolate for breakfast in Charleston. 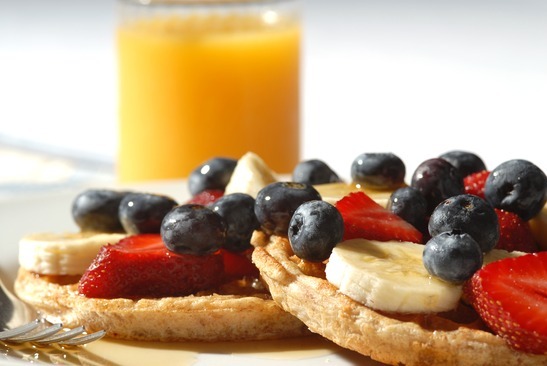 Eat a light breakfast of coffee and chocolate croissants before continuing with your recovery. The Barbadoes Room on Meeting Street is a place where you can get a full hearty breakfast in Charleston in style. Pick up your mood in the historic Mills House Hotel, where the restaurant is located. Early Bird Diner, offering a bit more Southern down-home cooking, is located on Savannah Highway. Get your potatoes here, fried with chicken and waffles. Lift your mood with the eclectic artwork and funky staff that contribute to a positive, upbeat mood. Hall’s Chophouse on King Street can really lift your spirits while the Plantation Singers entertain with a little gospel music. This is the place to get a steak or ribs with your whole grains and potatoes if that’s the kind of breakfast in Charleston your healing body craves. The Palmetto Café is located in the Belmond Charleston Place Hotel in the center of town on Meeting Street. Whether you stay there or not, the staff at the restaurant ensures you get all the fresh fruit and hot baked goods you want. You’ll feel rested as you dine in a garden-style setting surrounded by large glass windows overlooking the beauty of Charleston.